Viko Nikci’s mystery drama is set for an Irish release in cinemas on January 25th. The film features a strong ensemble cast, which is led by Karen Hassan (‘Finding Joy’). Catherine Walker (‘Patricks Day’), Mark O' Halloran (‘Adam and Paul’) with support from Ian McElhinney (‘Game Of Thrones’), Leah McNamara (‘Metal Heart’), Una Carroll (‘Calvary’), Ruairi O’Connor (‘Handsome Devil ‘),Ali White (‘The Fall’), Conor Ó Hanlon (‘Vikings’), Stella McCusker (‘Five Minutes of Heaven’) and Amber Jean Rowan (‘Guilt’) who round out the cast. 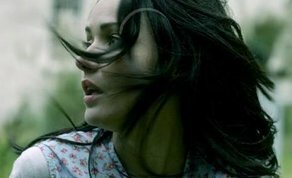 ‘Cellar Door’ releases in Irish cinemas on Friday, January 25th.